best rigs for the job. 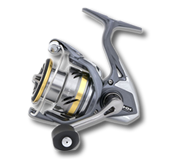 IMAX rods and Okuma reel? Newbie Rod/Reel Question. Please Help! Just Starting Out - Tackle Advice? Sea Fishing Hook Size ? Grip Lead Wires - where to buy ?